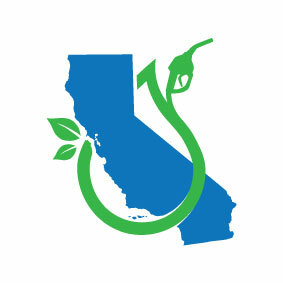 California Fueling was founded in 2017 to expand the use of biodiesel in the state of California under the state’s progressive clean air policies. The development of VESTA® — NOx mitigants developed by Hull Partners and licensed to California Fueling — enables the use of biodiesel blends up to 20 percent under the California Air Resources Board’s (CARB) Alternate Diesel Fuel Regulation, which went into effect January 1, 2018. Without NOx mitigants, biodiesel blends exceeding 5 percent in the winter and 10 percent in the summer will fall out of compliance with state regulations. Our VESTA® series has been CARB-certified and will make B20 blends in California the cleanest proven and tested diesel fuel with the lowest emissions profile available anywhere in the U.S. The effort to develop and bring the additive to market was headed by proven energy industry leader Pat McDuff, CEO of California Fueling, and his team. California Fueling’s combined experience, industry reach, and independence from corporate bureaucracy enabled them, in just 18 months, to open California’s biodiesel marketplace by providing a solution that will reduce every measurable regulated emission, including NOx, when blended with the state’s unique diesel formulation called CARB diesel. VESTA® 1000, which has a treat rate of 3000 ppm, was developed in partnership with the industry’s leading trade association and the performance standards established were significantly above CARB’s requirements. In March 2018 we launched VESTA® 5000 (1500 ppm), and in June 2018 we launched VESTA® 5100 (1000 ppm). Most recently we developed a non-hazardous version, VESTA® 5115, which received CARB approval in December 2018. For more information about VESTA®, click on the “Products” tab and for commercial assistance, contact Pat at (303) 618-5310 or pat@californiafueling.com.